The printing sector has been transformed significantly over the last decade fueled by the digitization of information. Lebanon, a longtime leader in printing services in the MENA region was able to maintain its market share by adopting the latest innovative trends. Packaging, especially for the Agrofood industry, and 3D printing are the biggest opportunities available in the sector. 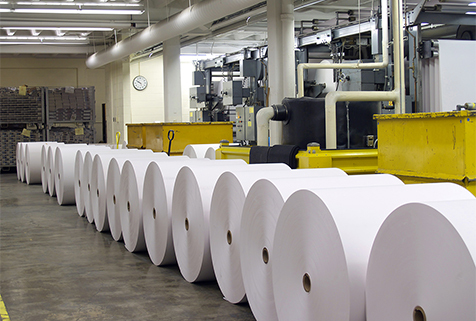 The Gross Value-added of the printing industry stood at USD 156 million in 2017. Printing companies account for 6% of the total industrial firms in Lebanon, comprising 305 companies. More than 80% of printing companies are located between Mount Lebanon and Beirut. Exports stood at USD 142 million in 2017, accounting for 3% of total industrial exports and ranked in the top 10 of Lebanese exports. Printed books and brochures account for around 50% of total printing exports. The leading exporting countries are Iraq (13%), Saudi Arabia (12%) and Egypt (9%). Lebanon imported around USD 300 million worth of printing products in 2017 mainly from China (10%), United States (8%) and France (7%). Top market players are Arab Printing Press, Chemaly & Chemaly, Dots, Ipex Printing Press and Raidy Printing Press. Packaging: The sub-sector is expected to grow at an annual rate of 5% during the 2015-2019 in the MENA region, faster than global growth projections estimated at 4%. Lebanese printing companies are well positioned to meet the growing regional demand for packaging services. 3D Printing: Lebanon has great potential to be the leader in 3D printing in the MENA region given its highly-skilled labor force. The country is already home to the biggest 3D printer in the MENA region (Big Voxel) developed in 2015 to manufacture furniture and machine components. Security Printing: Lebanon has an advanced ICT ecosystem that enables it to develop innovative printing solutions with the use of the latest technologies. Security printing is already provided in the Lebanese market however there is potential to serve regional markets.